The Administrative Data Center (ADC) is available to administrative departments that require facilities and services for business system computing requirements including shared file storage, college and departmental web site hosting, and digital records management. 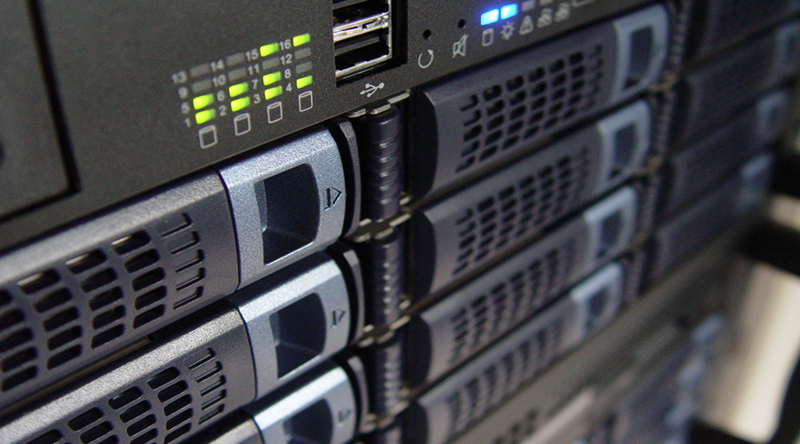 • Rack-mountable server space in a climate-controlled and monitored facility. • Virtual server space is available depending on server space needs. • Standard 110V power and uninterruptible power supply system. • Physical security (area restricted to authorized technical staff). • Data backup service available. • Server operating system maintenance provided by Enterprise Computing. • Server and virtual server owners maintain admin rights. Contact the Help Desk to request a consultation regarding a server or virtual server. For hardware housed at the ADC, there is no installation cost or ongoing costs. There may be one-time initial charges relating to installation for some equipment. • Standard 110V is no charge. If required, 220V Power is $250 per circuit. • One port provided at no cost. Additional network ports - $150/port. • Rack space is provided at no cost. Departments have the option to purchase a rack subject to floor space availability and standardization of equipment.